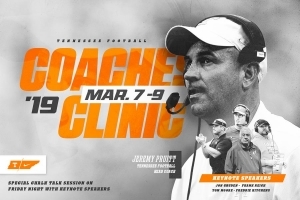 KNOXVILLE, Tenn. — Tennessee football’s 2019 Coaches Clinic will run from March 7 to March 9 and will be headlined by Volunteers head coach Jeremy Pruitt and keynote speakers Cleveland Browns head coach Freddie Kitchens, Oakland Raiders head coach Jon Gruden, Indianapolis Colts head coach Frank Reich and longtime NFL assistant coach Tom Moore. The 2019 Coaches Clinic is open to high school coaches and will feature sessions, Q & As and Chalk Talks with Pruitt and the entire UT coaching staff. 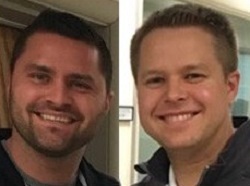 The keynote speakers will take part in a special Chalk Talk session on Friday night, March 8. 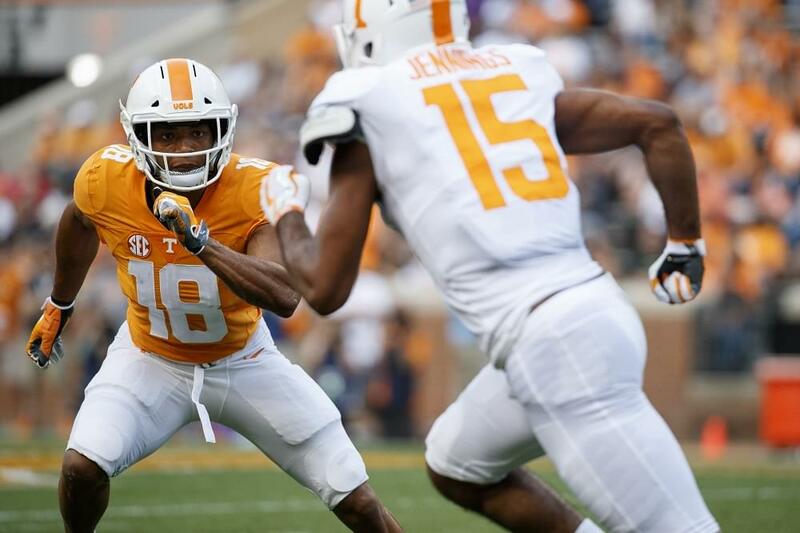 Attendees will have the opportunity to attend Tennessee’s practices on Thursday, March 7, and Saturday, March 9.